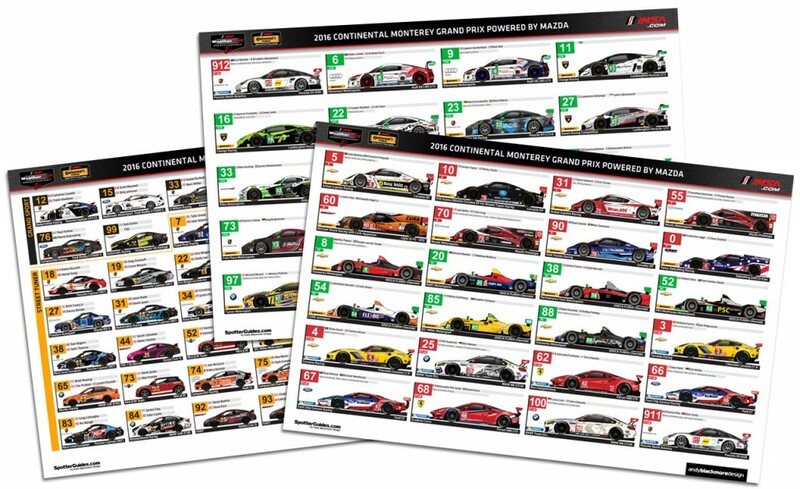 One of the biggest sportscar events of the season, the IMSA sanctioned Continental Monterey Grand Prix powered by Mazda at Mazda Raceway Laguna Seca takes place this weekend and thanks to new commissions from IMSA and Lamborghini we have a collection of Spotter Guides to help you at track or at home. 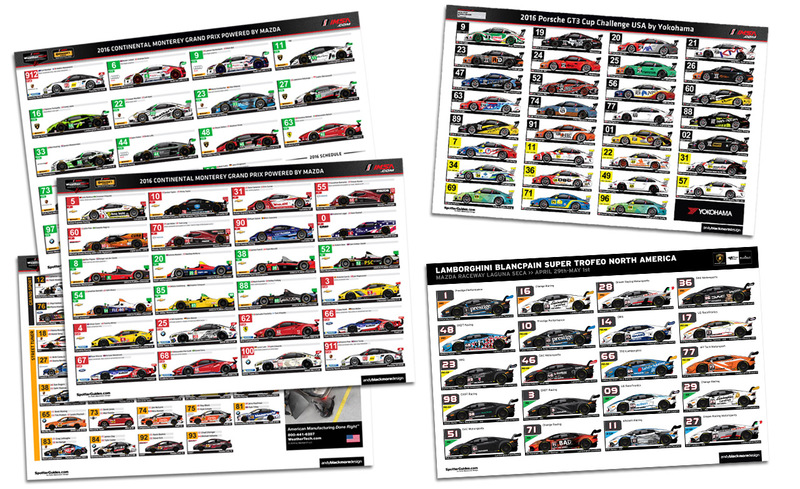 First up, the main IMSA Spotter Guide featuring the WeatherTech SportsCar Championship and the Continental Tires SportsCar Challenge on a 3 page PDF. Available HERE and in the Fan Zone at the circuiit as part of a race guide. 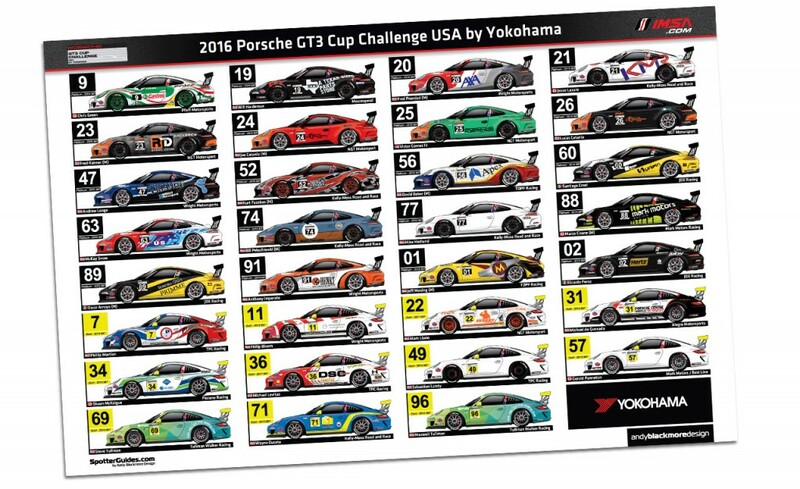 A new guide for Laguna Seca and beyond, the IMSA Porsche GT3 Cup Challenge USA by Yokohama featuring the full-time entries in the series.. 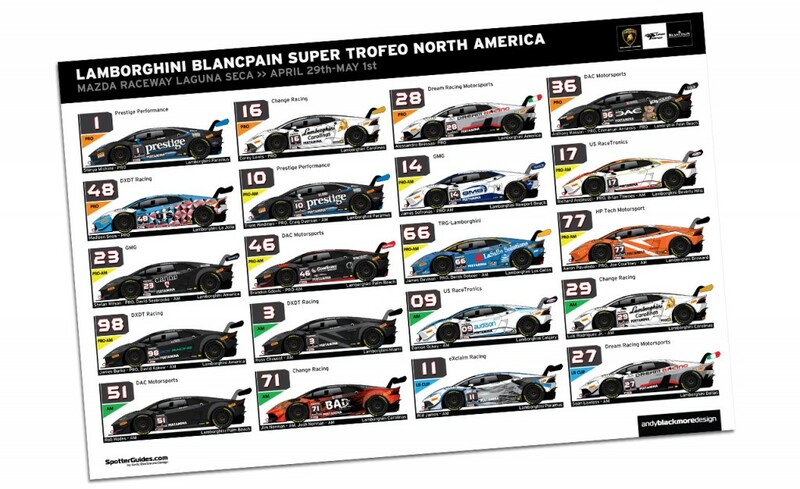 Available HERE and at the circuit in the GT3 Cup paddock area. 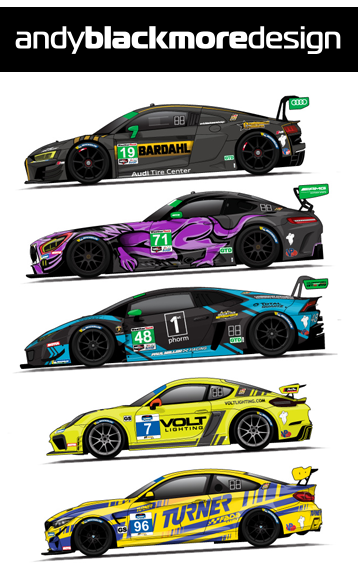 Thanks to IMSA and Lamborghini with the partnerships. Feel free to spread the word, but please link to the above pages, rather than the guides as links can (and will as we roll into a new month) change with updates during race weekend.